Relieve signal loss & latency in your Live Broadcast transmission, contribution & distribution by providing flexible & custom solutions for your existing & new infrastructure satisfying almost any application or budget. Celebrating 9 years, VidOvation is a leading technology and systems integrator of video, audio, and data transmission, contribution and distribution systems for the broadcast television, sports, production, corporate AV, and government markets. 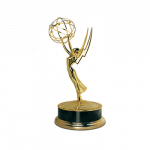 Encompassing Emmy award-winning bonded cellular, wireless video, video streaming, video over IP, encoding, IPTV, and fiber-optic communications systems, VidOvation solutions improve video transmissions by removing the frustrations of signal loss, latency, interference, noise, and security issues. VidOvation excels in helping its clients integrate custom solutions into existing infrastructure, with the ability to satisfy almost any application or budget. The company applies proven expertise to the complete project life-cycle — from project consulting and management to engineering and design, to warranty and support. In addition to VidOvation manufactured products, we also represent great brands such as ABonAir, AVIWEST, Black Magic Design, Cobalt Digital, MultiDyne Fiber, NewTek, Technicolor and more. Learn more about how VidOvation is moving video forward at vidovation.com/about. What differentiates AVIWEST IP & Bonded Cellular Technology from the competition? At VidOvation, we are asked every day, “What is the one thing that makes AVIWEST better than the competition?” There is no simple answer to this question. Please read the top 20 reasons to choose AVIWEST technology over the competition below. Collectively all of these reasons give production crews and photographers the ability to get more shots. “The sad truth is that many important shots, news stories, sporting events and more are lost every day due to the deployment of inferior technology. Advanced HEVC Encoding – Customers say “It is the best video quality they have seen in an HEVC encoder”. The system supports 4:2:2 10 bits hardware HEVC. 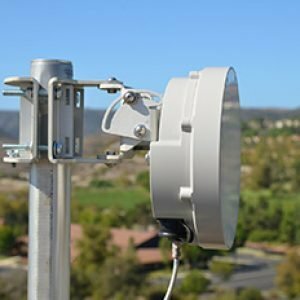 Patented High-gain Internal Antennas – Enables a stronger and more reliable signal with the cellular tower. The system’s superior design avoids interference from the coupling effect found in competing system when multiple antennas are in close proximity. 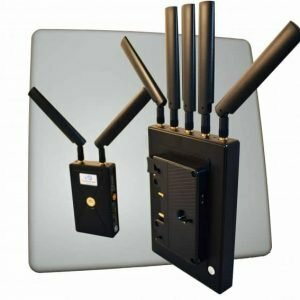 High-Quality Cellular Modems – Any wireless system is only as good as the quality of its RF radios. Using the industries best cellular modems makes a difference. The competition uses $50 modems. AVIWEST uses $300 high-quality modems. 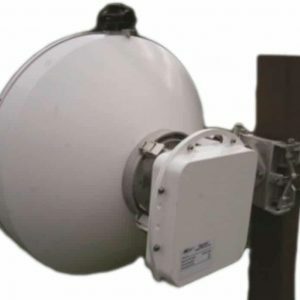 The AVIWEST cellular modems connect faster and more reliably with support for more frequency bands including the extended bands deployed by Verizon and other carriers. The competition does not support these extended frequency bands. Dual High-Quality Encoders – A second encoder dedicated to recording provides a better quality recording on the camera side. The competition has a single encoder for both recording and transmission. When the system is in a fringe area and the transmission is at a low bit rate, both the transmission and the recording will be of low quality. By having a second encoder, the AVIWEST system will always have a high quality and high bitrate recording under all transmission conditions. Robust Bonded Cellular & IP Transport – AVIWEST developed an Emmy Award-winning highly robust transport protocol called SafeStreams. It is ideal for the transmission of video audio and data over unmanaged networks such as cellular and the public Internet. Dynamic 2D Forward Error Correction (FEC) – Adds redundancy to the transport stream when needed. Automatically turns off when not needed to preserve more bandwidth for higher video quality. Packet Re-requests (ARQ) – When FEC is not available or unable to recover lost packets, the decoder engages ARQ to request the re-transmission of lost packets automatically. Variable Video Bit Rate – The system automatically adapts to changing network conditions. When the receiving decoder senses a decrease in available bandwidth, it sends instructions to the transmission encoder to lower the bit rate. Based on the available throughput and bandwidth the system continually adjusts the video bit rate. This technique prevents interruptions in video transmission while maximizing the available throughput to achieve the highest video quality. Transport over the Public Internet – Many customers can save the cost of expensive Satellite, Telecom and fiber optic transport and use the low-cost Public Internet for reliable video transport by using AVIWEST technology. 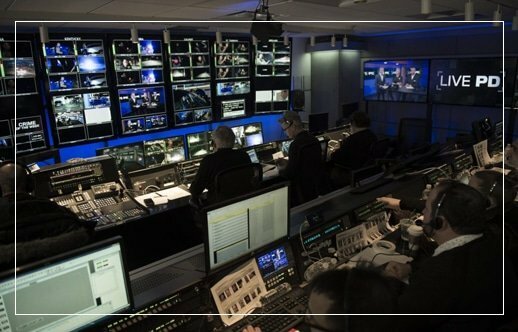 At-home Remote Production or REMI – Turner Sports transported 20 live video feeds between Paris and Atlanta over the Public Internet while maintaining perfect Gen-lock and Lip-sync across all 20 cameras. Turner Sports was able to minimize personnel and equipment at the remote production site producing the entire show thousands of miles away in Atlanta. 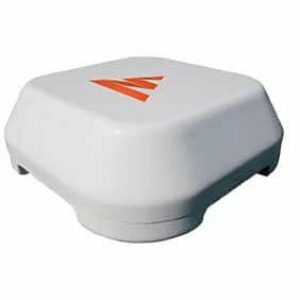 External Antennas – Passive & Active – When operating AVIWEST PRO Series field encoders with bonded cellular connectivity there are certain situations where an external cellular antenna is needed. When transmitting from inside a vehicle, the metal body can block or attenuate the RF cellular signal. The PRO series supports up to 2 QUAD external passive antennas. 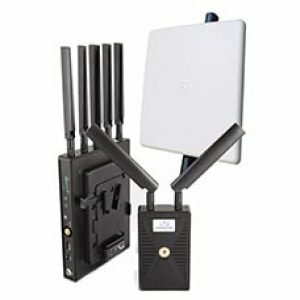 AVIWEST has introduced the QUAD CellLink active antenna with four high quality internal cellular modems. 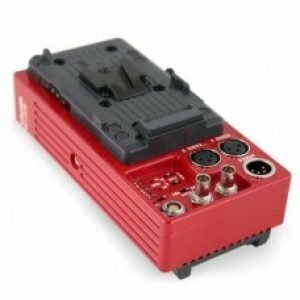 The QUAD CellLink can be used to add cellular connectivity to products such as the HE4000 HEVC HD and 4K Encoder. Advanced Store & Forward – The AVIWEST product line simultaneously supports Progressive Store and Forward. A high-resolution video file can be recorded locally in the PRO or AIR Field Encoder and Transmitter. The file can be immediately and continuously forwarded to the receiver in master control or can be forwarded at a later time. This feature is ideal if you’re in a location without any cellular connectivity. 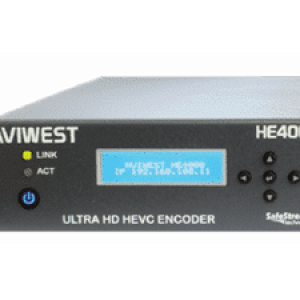 The advanced recording and storing capabilities of the AVIWEST PRO and AIR field encoder’s gives the ability to broadcast live in a fringe area at a lower bit rate while simultaneously recording at a high bit rate using the second encoder. In this situation, a low-resolution proxy can be broadcast live followed by a higher resolution recording that is automatically pushed to master control to air later in the broadcast as an alternative to the lower bit rate live video. Advance File-Based Workflow – Please read the blog post “Accelerated Video & Photo File Transfer – AFP Delivers Real-Time Coverage of 2018 Tour de France” To learn more about AVIWEST’S advanced file-based workflow. Cloud-Based Management – The Manager is a powerful application that enables broadcasters and video professionals to monitor and manage an entire AVIWEST live video contribution system including fields units (PRO Series, AIR Series, HE Series, RACK1 Series, and MOJOPRO Series), StreamHub transceivers, as well as third-party equipment. The Manager transforms remote live video production and news gathering by enabling an operator to manage and control a large number of devices through the intuitive web-based user interface of a single tool. It can be deployed on-premise or operated as a cloud-based solution and brings simplicity, flexibility, and efficiency to any news or live video production organization. Advanced Receiver Functions – The AVIWEST StreamHub receiver and distribution platform is a single 1RU appliance that decodes, transcode and encodes both HD and 4K video. Highest Input & Output Density – The StreamHub supports up to 16 inputs for field encoders and transmitters with up to 32 IP outputs and 4 SDI outputs. The competition does not come close to the density of the StreamHub receiver, decoder, and encoder. This translates into savings and rack space, electricity and HVAC. The AviWest StreamHub is a versatile receiver, decoder, playout, and distribution platform or cloud-based service, supporting a large panel of functions and protocols for the easiest integration in existing workflows. SDI & HDMI inputs – It is common for photographers to use a wide variety of cameras throughout the workday. Photographers and engineers asked for an autosensing SDI and HDMI input. Whichever input is active, the AVIWEST field encoder and transmitter will automatically select it. This prevents mistakes where a camera operator will select the wrong video input. 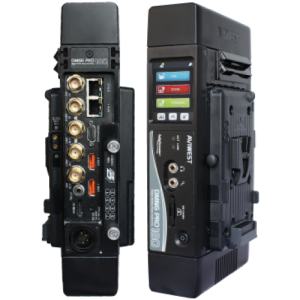 Gen.-lock and Lip-sync – The AVIWEST family of field encoders and transmitters all maintain perfect video and audio Gen-lock and Lip–sync across Cellular Networks and the Public Internet. This is ideal for multi-camera remote field production. A perfect example of this technology in action is the work VidOvation and AVIWEST are done with the team at Big Fish Entertainment and A&E for cable TVs number one show “Live PD”. Alternative to Expensive Satellite, Telecom & Fiber – Many VidOvation customers are using AVIWEST technology to save on satellite, fiber and telecom costs. The AviWest safe streams unique transport protocol cuts contribution and distribution costs in multicamera, Live-Action Productions making the impossible possible. 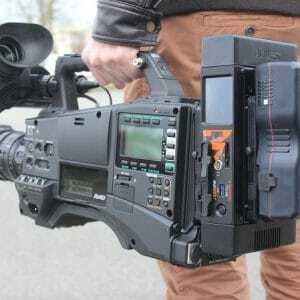 How many cellular and IP connections does the AVIWEST PRO380 provide? The AVIWEST PRO380 include up to 12 bonded IP and cellular connections via eight internal professional grade modems, 2 LAN connections, and 2 WIFI for a total of 12 IP connections per video transmission. The standard PRO380 includes global cellular modems with support for most of the cellular networks deployed in the world, including Europe the Middle East, Africa, the United States, Canada, Latin America and most of Asia. 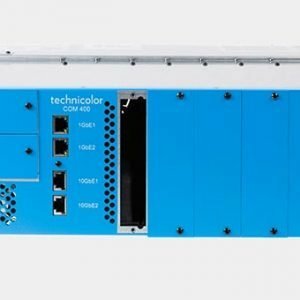 Its versatility gives broadcasters the flexibility to travel everywhere in the world with a single unit without needing to replace its internal or external cellular modems. What are the low latency or low delay wireless video options? Many applications such as sports, studio, and cinema productions require a low latency camera mount wireless video solutions. In sports a live video feed to a big screen showing live action of the field or ice requires very low latency. In studio or cinema production low latency is required for video assist and for pulling focus. 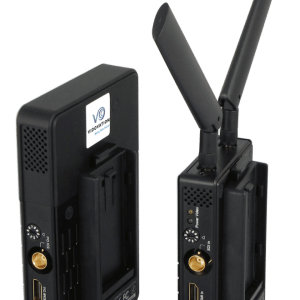 The VidOlink Reacher family has options to transmit video 400, 1500 or 3000 feet with less than 3 msec latency. Visit the VidOlink Reacher 400, VidOlink Reacher 1500 and VidOlink reacher 3000. The VidOlink Reacher features good video quality at a moderate price point. 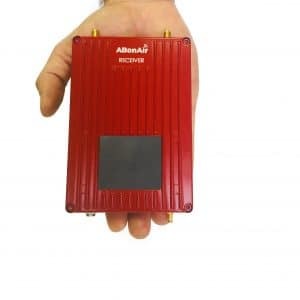 For longer distances and the best Broadcast quality, the ABonAIR AB512 and AB507 transmit up to 2-mile range with 7 msec latency. The AB512 Camera Mount Wireless Video Link includes Intercom and Camera Control. The AB507 Camera Mount Wireless Video Link is a lower cost video only alternative to the AB512. What TV content integrates with the VidOvation TV In-house IPTV & Digital Signage system? The VidOvation TV In-house IPTV & Digital Signage System integrate live television content from DirecTV, Dish Network, Cable Televisions, Over-the-Air Television, and more. Live internal video feeds from a studio, video conferencing system and other sources can also be integrated. Options are available to integrate an extensive library of media files to be played as video on demand (VOD). Options are available for digital video recording (DVR) to time-shift or record live television. Do I need Digital Rights Management (DRM) for my In-hose IPTV system? In the case of DirecTV and Dish Network, they use encryption called Pro:Idiom and it can be problematic for distribution. VidOvation TV In-house IPTV & Digital Signage system can work with the native Pro:Idiom encryption if you need a basic IPTV system. For greater functionality, flexibility, and compliance with Cable Television in addition to Satellite, it is recommended to use the industry approved and accepted Verimatrix DRM. DirecTV and Dish Network will not turn off Pri:Idiom encryption unless you have an approved DRM system or digital rights management system such as Verimatrix DRM. You want to make sure you ask your IPTV vendor, “Do you have an approved DRM system approved by DirecTV, Dish Network, and your Local Cable TV operator?” The VidOvation TV DRM system is approved by DirecTV, Dish Network, and all local Cable TV providers. 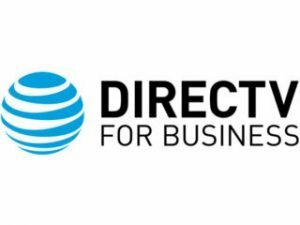 DirecTV, Dish Network, Cable TV and the Studios all mandate encryption of all television IP streams with an approved DRM system. The goal is to prevent copyright violations. The VidOvation TV System supported the native Pro:Idiom DRM and the industry approved and accepted Verimatrix DRM. What display devices can I use with my VidOvation TV In-house IPTV & Digital Signage system? A typical RF coaxial television system is only going to allow for the distribution to specific displays and TVs. Do you need to access video content over the corporate wide area network at the desktop, laptop, smartphone, tablet, set-top box, Smart TV, TVs, and Displays? If yes, VidOvation TV In-house IPTV & Digital Signage system is the right choices. The way users function and interact in the corporate setting is rapidly changing. We are not bound to the displays in our offices, break rooms, hallways, lobbies etc. We need to access our corporate content right at our fingertips on ANY device. This is an absolute necessity for your enterprise content delivery network. 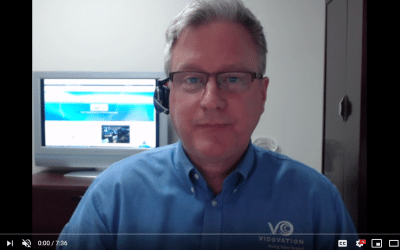 Can I integrate Digital Signage into the VidOvation TV Enterprise IPTV System? Digital Signage is prevalent in every industry. You can run breaking news, welcome information, live event coverage and advertisements to the lobbies, hallways, break rooms, and more. Many digital signage display options are possible such as full screen, picture in picture and L-bar. The signage can be scheduled and automated. VidOvation today announced that a major U.S. news network has made a significant purchase of AVIWEST video over IP transport technology. The network will use the Emmy Award-winning AVIWEST HE4000 HEVC live encoder for contribution and distribution of live news content bidirectionally between master control and remote affiliates using the public internet. “Broadcasters — especially those like our new client, who depends on the ability to backhaul breaking news content from many different field locations and sources — are always looking for better, more efficient ways to contribute and distribute video,” said Jim Jachetta, executive vice president and chief technology officer at VidOvation. 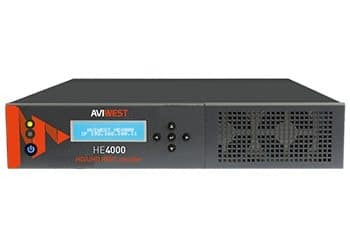 “With our AVIWEST HE4000 encoder, this high-profile new customer has embraced the potential of the public internet to help the network distribute live content to its affiliates in a far less costly manner than traditional telecom or satellite connections. The system also provides affiliates with the ability to forward live contributing content to master control. VidOvation is honored to be one of the first nominees’ for the 2019 NAB Show Product of the Year Award. New for the 2019 NAB Show is VidOvation TV, a turn-key enterprise IPTV and digital signage system that now includes full integration of DirecTV content. The integration enables an end-to-end IPTV system that includes DirecTV, digital rights management, video on demand, and digital video recording with streaming to smartphones, tablets, desktop players, displays, smart TVs, and set-top boxes.